A little bird has told me that my piece for AFAR magazine is out. 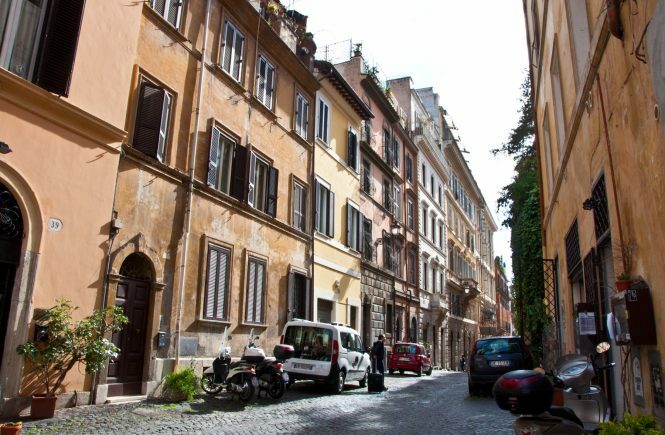 Its May/June issue, which includes my two-page spread on Rome in its “Wander” section, hit newsstands this week. Also, if you’ve never checked out AFAR before, do. It was launched mid-magazine Armagaddeon, when everything was folding — and I think it says a lot about the publication that not only did it hang on, it’s thriving. 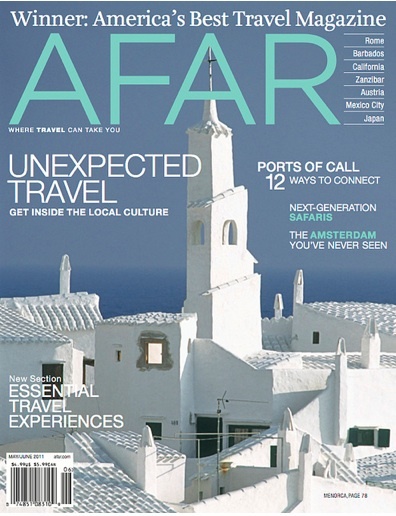 (I think the top of the cover says it all: AFAR was named Best Travel Magazine by the Society of American Travel Writers Foundation in 2010). You can find it at your local bookstore, or order it here for only $19.95 per year.